Arizona Roof Rescue » Blog » New to sustainable roofing? Here is what you need to know! Does your Arizona home or business need some serious roofing work? Are you interested in hiring a roofer in Avondale that can engineer a roof that is eco friendly and more sustainable? There’s a few things to know and understand about sustainable roofing if you are really interested. Reduced roofing waste. A sustainable roofer will waste as little materials as possible. Roofing materials usually end up in landfills and are not eco friendly. Reduced waste means for a more sustainable roofing installation process. Saves and produces energy. Energy savings through sustainable roofing of your Arizona home or business is achieved through correctly and specifically insulated roofing systems. The power of solar energy can be harnessed through sustainable roofing as well. Rooftop water conservation. Collecting rooftop water (known as stormwater) can help reduce the large amounts of polluted water that goes into precious Arizona water canals and sewage systems. Using this water for garden upkeep and other home uses puts less of a strain on municipal water systems as well. Rooftop solar panels. Solar panels are known for being incredibly energy efficient, especially in the hot desert. The addition of solar panels to your roofing system could not only save you a lot of money but put less of a strain on the earth through reduced uses of electricity and fossil fuels. Asphalt. Asphalt shingles are very common for most residential homes due to their inexpensive price. However, asphalt is not the most eco friendly material. It retains a lot of heat, does not last as long as other roofing materials, and not to mention a bit of an eyesore. For your sustainable roof, asphalt should probably be avoided. Metal. Producing metal roofing materials are costly initially. Aluminum and steel or usually used for roofing. Regardless, their look is sleek, attractive, and modern. Metal roofs last for a long time. You can be even more energy efficient by used metal shingles and roofing materials made from recycled metals or recycle the roofing materials at the end of their lifespan. Wood. There’s nothing quite as rustic as wooden shakes. It is beautiful to look at and can make a house look like a warm inviting home. Wood shakes are often made from cedar. Wooden roofing materials can definitely be sustainable, especially if trees are planted to replenish the materials harvested. It can also be a sustainable choice to find wood roofing materials that are FSC certified and do not have toxic chemicals or preservatives. Purchasing wood shakes locally is also a more green choice. Slate. Slate is very durable as well as pricey and with a heavy weight. To make this a more sustainable choice, try finding repurposed slate for your roof. Clay. Terra cotta is a popular roofing material choice in Arizona and the rest of the Southwest. Terra cotta clay tiles and shingles are very durable in hot climates and are especially resistant to rain and dampness. On the negative side, clay is often a pricey roofing material. Terra cotta is also heavy and can be intense to try and work with. Concrete. Tiles made of concrete put a heavy weight on the environment to manufacture as roofing material. They are also extremely heavy and can be a pain to work with or may not even be light enough to compose a roof for your home. However, concrete lasts for a long time and can endure a lot. Recycled ‘green’ materials. Plastic, rubber, and metal can be recycled into roofing slates or shakes. This is a very eco friendly and sustainable option. Not only are you using recycled materials for your roof, but the resulting recycled product is very durable and long-lasting. Are you interested in sustainable roofing? 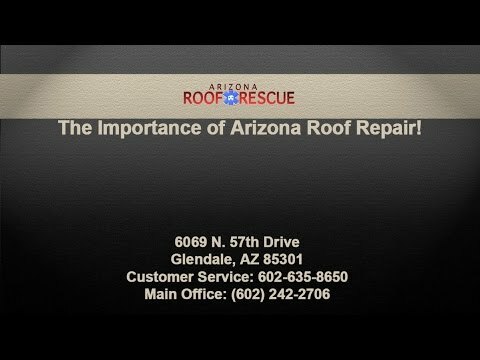 Call Arizona Roof Rescue today! Home » Blog » New to sustainable roofing? Here is what you need to know!